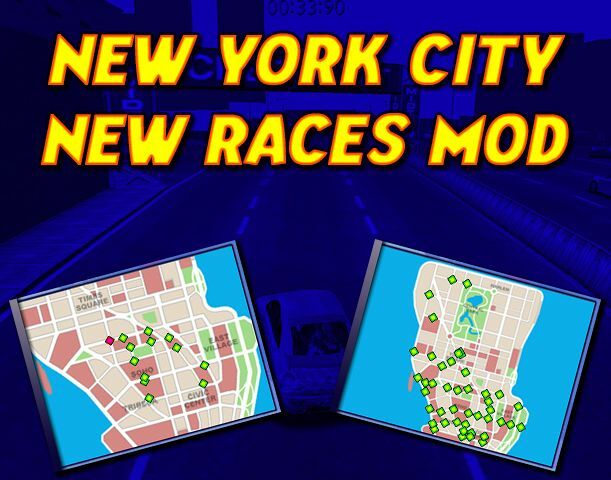 This is a mod for the add-on track New York City improved 1.2 plus the 1.2.1 patch, that replaces the few original races with 38 new ones (12 blitz, 12 circuits, and 14 checkpoint). They're complete with custom loading screens. Made by Tibor Mat 97.